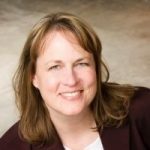 Suzanne Atkinson of ProBooksUSA is a certified QuickBooks Advanced Proadvisor offering accounting and bookkeeping services to clients nationwide. Other services she provides include IT consulting, payroll support, tax services, as well as QuickBooks setup, training, and support. Work For ProBooksUSA? Claim This Page.